We’re driven by your mission. Our core services hubs: Inbound Marketing, Web Development, Design, and Sales Enablement. We partner with you along the whole journey, from attracting to connecting to engaging and delighting. Together we achieve results by combining world class technology with thoughtfully established and fully executed strategy. 1. "You understand our mission, our values and our business." 2. "You cultivate excellent relationships and provide personalized customer service." 3. "You're creative thinkers and problems solvers." We would highly recommend Yodelpop to any organization seeking to markedly increase their inbound marketing or create a strategic inbound marketing plan. Their team works tirelessly and seamlessly to ensure that all of our inbound marketing objectives are thoughtfully established and then fully executed. They've gone above and beyond, taking the time to learn everything there is to know about our grant-funded project. We've often said they're an extension of our team, because they're just as dedicated to our success as we are." Yodelpop has always exceeded expectations. I had to get a new marketing strategy in the works ASAP to help solidify my company's online presence and start attracting new quality leads. From the beginning, Yodelpop showed interest in getting to know my company and my customer base. They took time to ask in-depth questions about our mission as a company, not just our marketing goals. 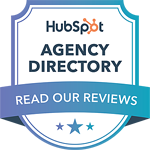 Yodelpop is always up to date about new features and tactics of inbound marketing, and the timeliness and quality of work is always high." We were looking for a professional marketing group to assist our non-profit with our inbound marketing strategy and have had great success with Yodelpop! Nonprofits have unique marketing needs, and Yodelpop has been able to deliver." Hiring Yodelpop has been a great decision. We’ve been so impressed with how quickly they learned our industry and turned around blog posts for us. The quality of the content is exceptional, and we’re so happy with the results that we've contracted with them for more." If you're ready to talk, we're ready to listen – and help.